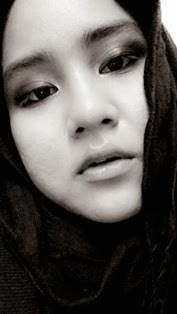 What So Sizzle Bout Sizzling Suzai - Malaysia Fashion, Travel and Lifestyle Blogger: My Name Is Khan! 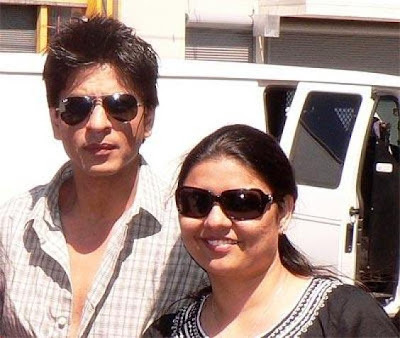 The tittle of the film..
" My Name Is Khan "
" SHAHRUKH KHAN & KAJOL "
is being shot at breakneck speed. The film, produced and directed by Karan Johar.The USP of the film is the coming together of Bollywood's most-loved couple Shahrukh Khan and Kajol after a hiatus of almost eight years. Apparently, the basic plot unfolds telling the story of Rizwan Khan (SRK), a Muslim boy who grows up with his mother in the Borivali suburb of Mumbai. As an adult, Khan falls in love with and marries Mandira (Kajol). However, he suffers from Asperger syndrome (a form of autism which impacts social interaction abilities). It's this very behavioral pattern that leads to his arrest on the grounds of suspicion as a terrorist post-9/11 in Los Angeles. After his arrest, he meets a therapist Radhika (played by Sheetal Menon) who helps him. Jimmy Shergill also appears in a pivotal role as SRK's brother. With SRK playing the role of a man suffering from autism, he has certainly got into the look of the character with his disheveled hair, vague yet restricted mannerisms and grey tweed suit. However, the glint of passion for performances and his undying source of energy still manage to break through the layers of make up. Warghhhhh...I LOVE bollywood so000oo much! n i'm s00ooo00oo EXCITED bout dis film..
who always come out with an A-class movies! n the MOST is he ALWAYS wanted my Mr.SRK n Kajol in his film..
that dis will be a GREATEST hit ever..
emmm..after Dilwale Dulhania Le Jayengge..
to co-star Mr.SRK long-long time ago.. I think bout a year n half..but Kajol refuse it..
emmm..i cn say in a GOOD why..
but no matter what he still try-n-try-n-try-n..
guys, of coz NEW YORK! hahaha..Karan Johar's fav place ever..! so, now i'm juz so0oooo anticipating for dis project..
k besides the 2nd TWILIGHT..the new moon! which will be in d' movies on 20 november 2009..
hopefully, dis will not be the last one after a long 8 years..!